And one who used to get success in all his attempts. *Sindhu is sea as well as a region where horses are bred. 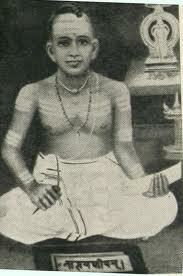 “Would I be able to see him who has been sung about by Vedas? Would I be able to touch him? Would I be able to hug him? Oh Lord who knows what type of blessing any one will get? Making the assembled kings to occupy the allotted seats for them to watch the wrestling. *These are the states of every Soul with God. “Oh Sir, were you sent by that hard hearted one to please his parents? Where is that one who has become a lover to the very urban beauties? Which I have never seen nor heard. What is the use of Vedic sayings? Dasakam 77 Love with Sairandhri and killing of Jarasandha and Kala yavana. When Balarama with force captured and tied the very strong Jarsandha. On foot , and Kalayavana who was not blessed enough to die from hands of God. After seeing you as the most handsome one on earth.